Well done, Rohan. Your education and perseverance are admirable and will continue to take you far in life. 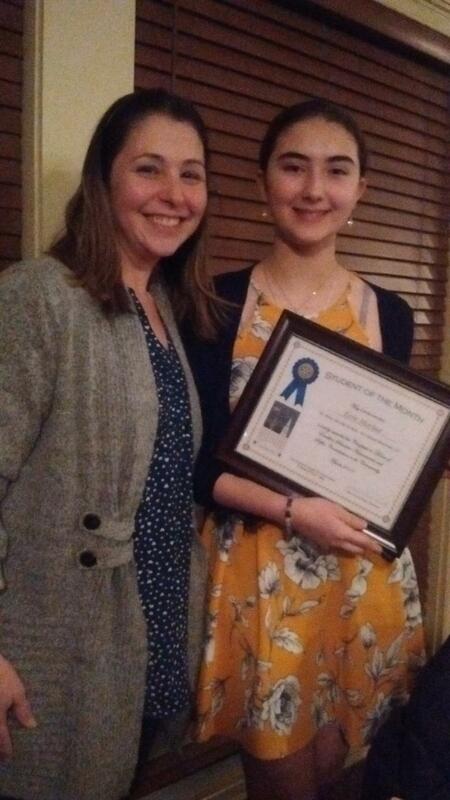 I am also pleased to share the good news that Seventh grader Jonathan Voskov won Third place in the Geography Bee and 8th Grader Erin Markut received the Personal Achievement award from the Newtown Rotary Club. 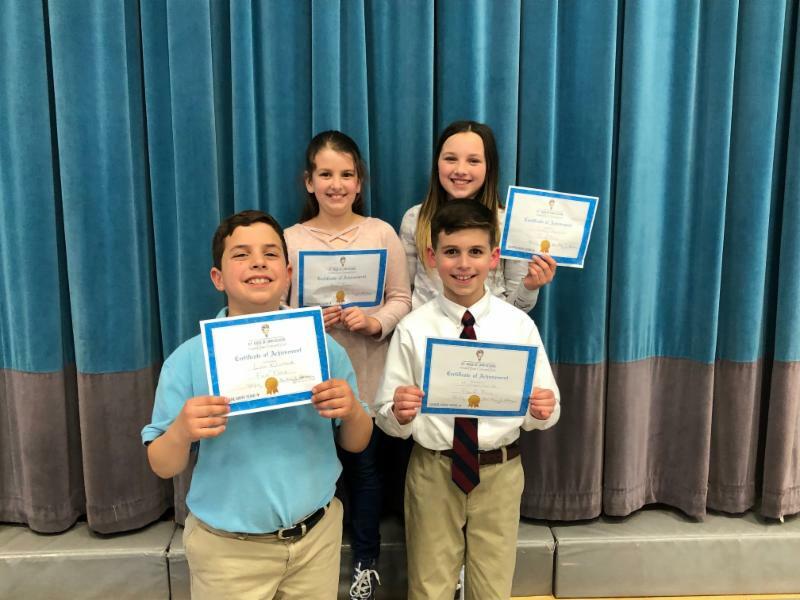 I am so proud of these students for taking on challenges and demonstrating their knowledge and integrity both in our halls and outside in the greater community. It was a pleasure to see so many parents and family members in our halls this week, coming to check out our students' incredible projects. 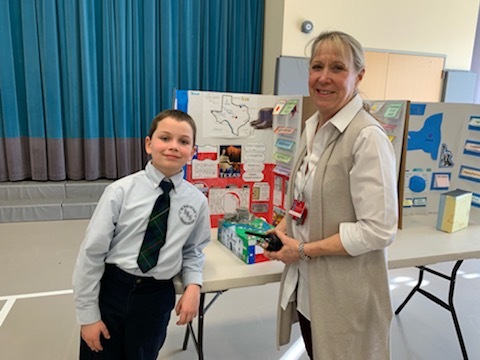 At the Invention Convention our 4th and 5th graders demonstrated their knowledge and creativity with such inspiring works. 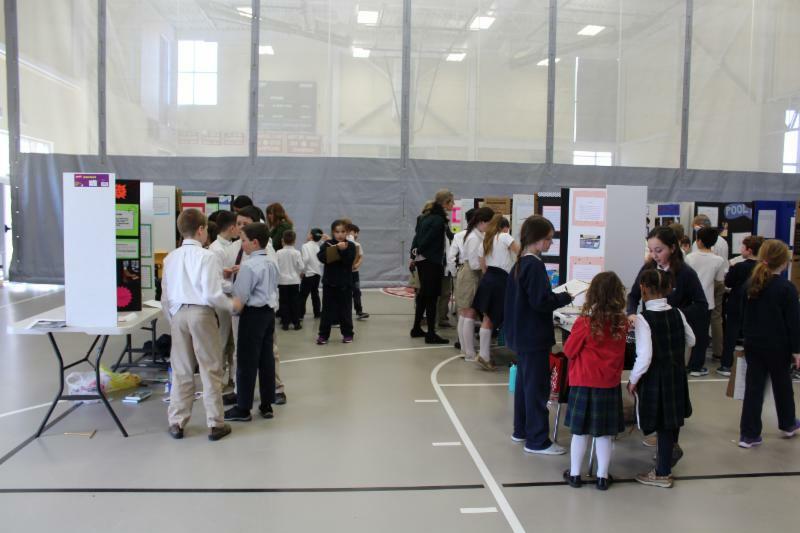 Thanks to the judges who spent time reviewing every invention according to specific criteria. Our top winners will continue to the next level of the competition at UCONN in May. We will keep track of their progress. 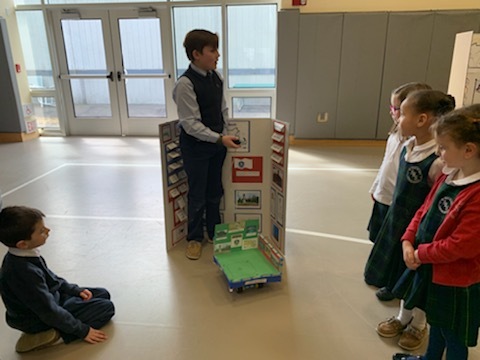 This week we hosted an Open House for prospective Preschool and Kindergarten families as well as Kindergarten Readiness session at which Mrs. Rahtelli and some current parents spoke about this important transition in a child's life and emphasized the benefits of the SRS K-8 learning environment. Both events were successful, giving us another way to reach families as they make key decisions. I am thankful to all the staff and parents who helped make these outreaches possible. 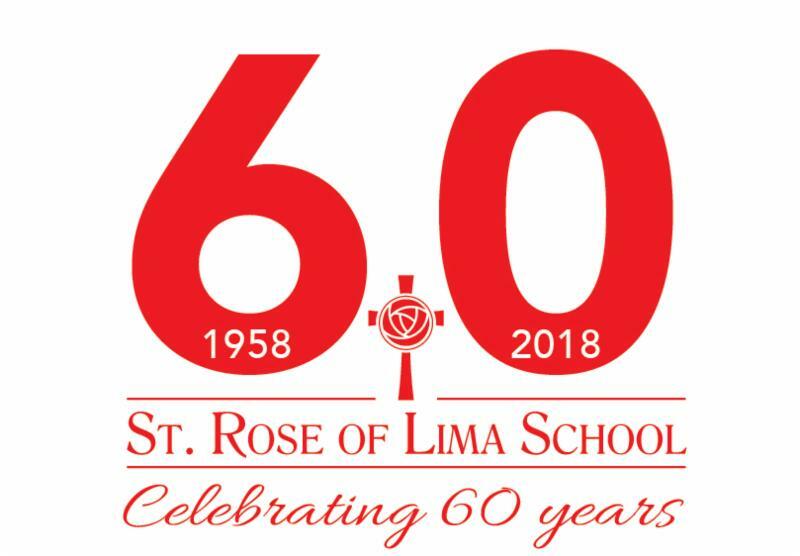 We are all the face and voice of St. Rose School; please share the word and encourage friends, family and neighbors to come visit...a warm welcome awaits them. Last week's trip to D.C. with the 8th grade class and Monsignor Bob was an exceptional experience. I applaud our students for conducting themselves so responsibly and representing the values and high standards of St. Rose School. My thanks to Monsignor and all the parent chaperones for their dedication, support and all of the special touches that will make this a lasting memory. On Monday morning I purchased my Tuition Raffle ticket! This is a terrific opportunity and important fundraiser for our school. I encourage every family to buy at least one ticket -- the odds are favorable since they are capping it at 350 tickets with the chance to win $15,000 in tuition dollars that can be applied to ANY K-12 school, college, university or student loan organization in the United States. Let's work together to reach this goal. Thank you! The Lenten Mission is ongoing through Lent as are the good works and extra prayers we are encouraging at school. Please support the mission and help children who are less fortunate. We are grateful for your help. Next Friday, March 29th, school will be closed for a Faculty/Staff retreat. Taking time to pray together and reflect on the important mission we have as educators is so key to how we can impact your students every day. We ask for your prayers as we gather that day and promise to keep every family in ours. The next Friday newsletter will arrive on Friday April 5th. Another weekend is upon us. I hope you enjoy your family time and a change of pace from the busy weekday schedule. 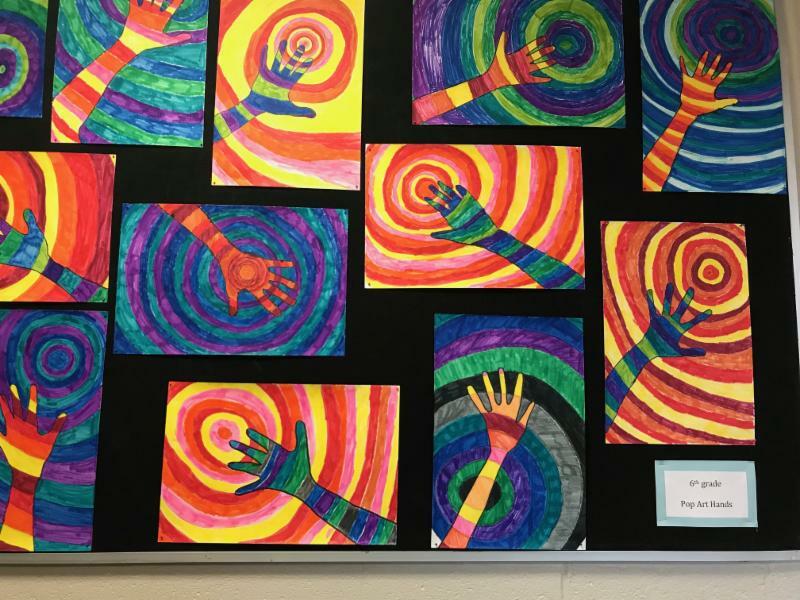 March is a time of great awakenings and our students are certainly engaged in a variety of innovative lessons at every grade level. Click on the club to find details about dates, deadlines and fees. Volleyball Due to a schedule conflict in the Hall, we had to change Volleyball to Wednesdays beginning on 3/27. We also lowered the fee to $85 for the inconvenience of moving this activity. Please sign up promptly as spaces fill up fast. We apologize if this does not work for you but we had no choice. I will send back your old registrations with a copy of the new registration so you can reregister if it fits your students schedule. 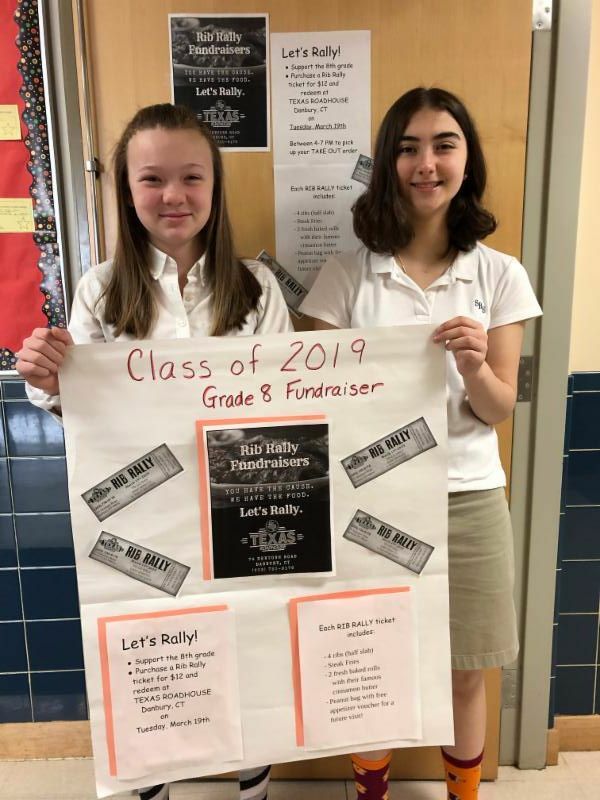 CLASS OF 2019 RIB RALLY FUNDRAISER A SUCCESS! Thanks to all who supported the 8th grade class Rib Rally Fundraiser. 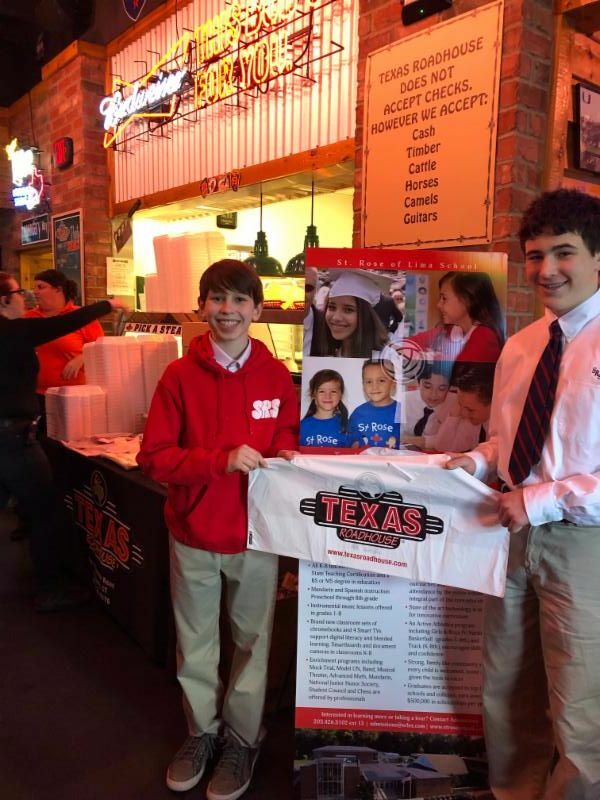 On March 19th parents, teachers and students set up a table in the front of Texas Roadhouse, with plenty of St. Rose School materials, and delivered the pre-ordered meals to customers. Ramsey was on hand to greet people and there was a great atmosphere. While the final tally is still to come, the number is around $1,500. All unclaimed meals were taken to the Newtown Police station that night and the officers were most grateful to receive the tasty fare. Many thanks to all school families and parishioners who made this possible. 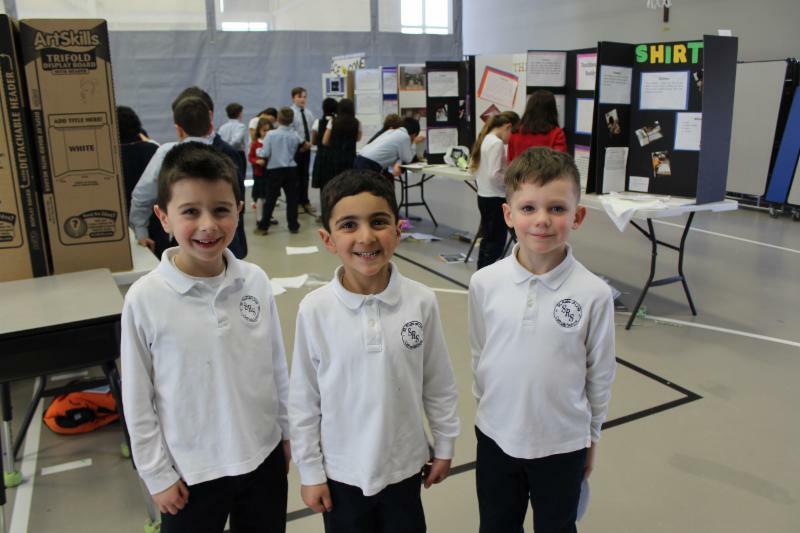 Children's Stations of the Cross -- students in grades 4-7 needed to participate. Click here for details. The Most Rev. 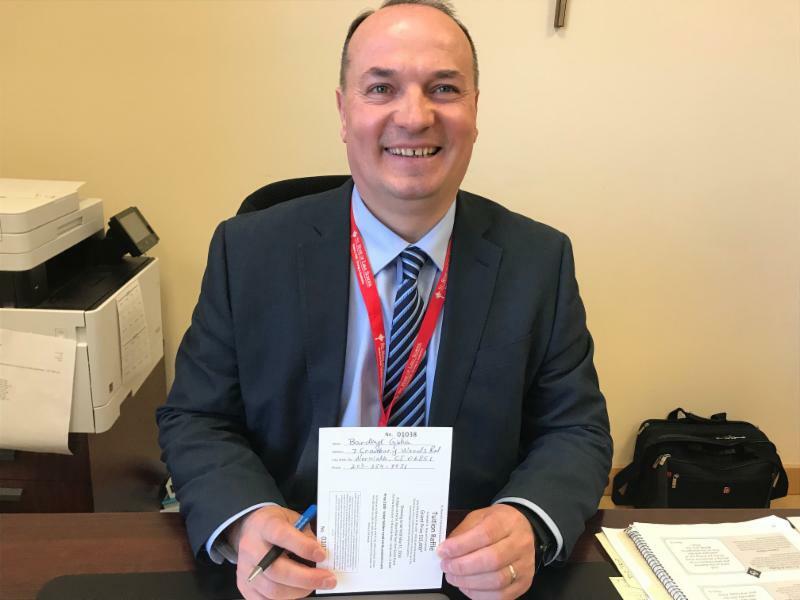 Frank J. Caggiano, together with a planning committee of Survivors of Sexual Abuse as Minors by Priests, will hold a very special Mass for anyone who has been sexually abused as a minor, family members, friends and for others who have been impacted. 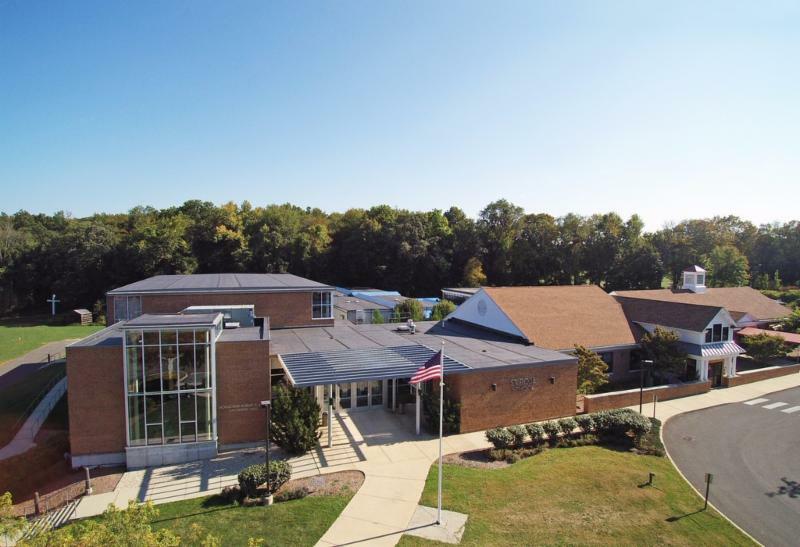 The Mass will be held on Sunday April 7th, 2019 at 2:00 PM at St. Joseph Church 8 Robinson Avenue, Danbury CT. Light Refreshments will be served immediately following the Mass.. For more information, contact Erin Neil, L.C.S.W., Director of Safe Environment & Victim Assistance Coordinator (203) 650-3265 or Michael Tintrup, L.C.S.W., Victim Assistance Counselor (203) 241-0987. Please join us. K of C 2nd Annual 5K Run 4 Hunger, May 11, 2019. Proceeds to benefit Faith Food Pantry. Click here for details. To register for the event click here. 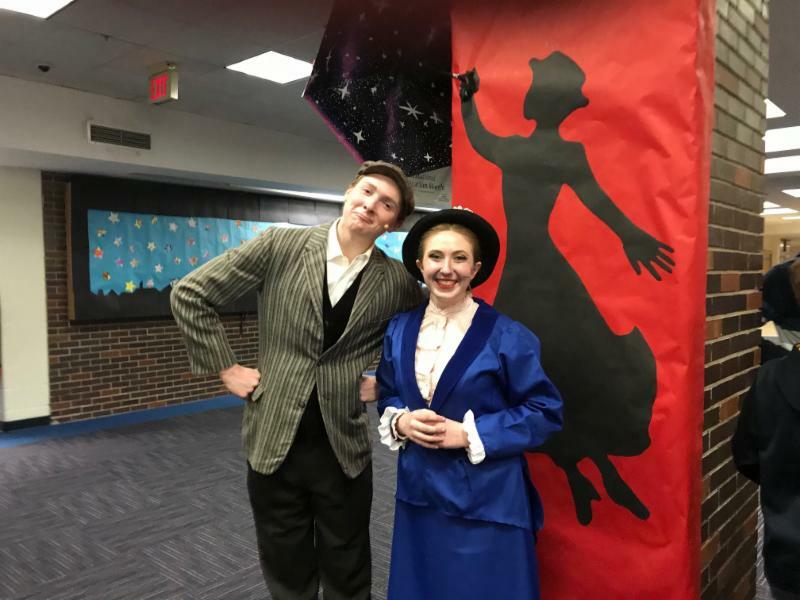 St. Rose School Class of 2015 alumni Leah Navin and Aidan Moulder appear as Mary Poppins and Bert in Newtown High School's musical Mary Poppins March 21st-24th, 2019. Leah and Aidan were last seen on the St. Rose stage as Ariel and Prince Eric in The Little Mermaid, April 2015. 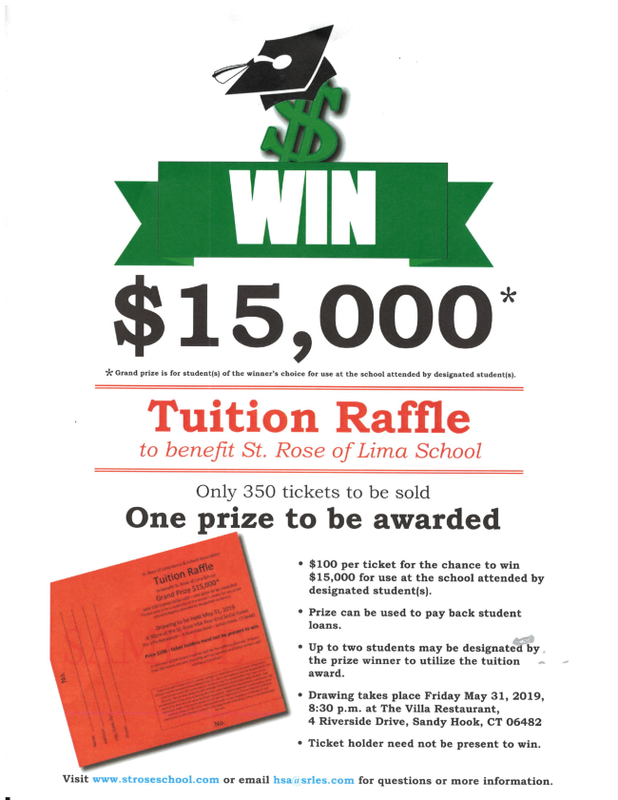 Tuition raffle sales have reached 44 tickets sold! 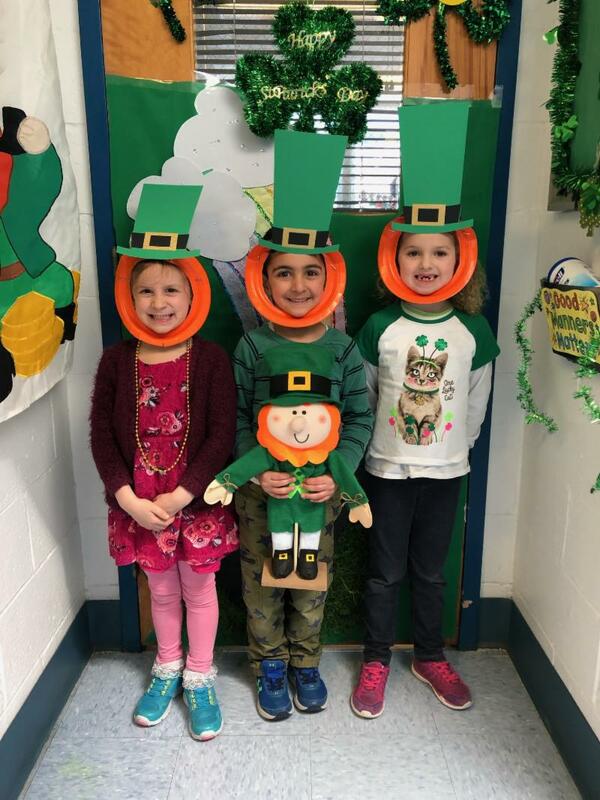 We are going to be offering tickets for sale at dismissal on Tuesday between 2:30 and 3:15 p.m. and on Wednesday morning between 7:30 and 8:15 a.m. Please look for us near the basketball hoops and we will be happy to sell you a ticket. We are still in need of volunteers for the father daughter dance. If you are able to help, kindly let us know at HS a@ srles.com . Today, we proudly presented a check for $28,000 to Mr. G to complete the funding for the massive technology upgrades that have been underway since Christmas. Thank you for all of your support and hard work that made this possible – it was a proud moment for the HSA! 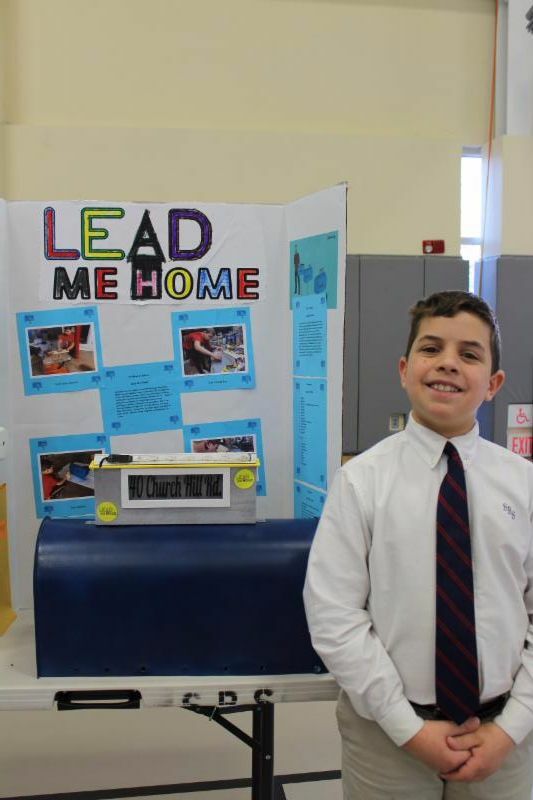 Invention Convention, an annual event for our intermediate grades, was held on Wednesday, March 20th. This isn't really the beginning or the end! 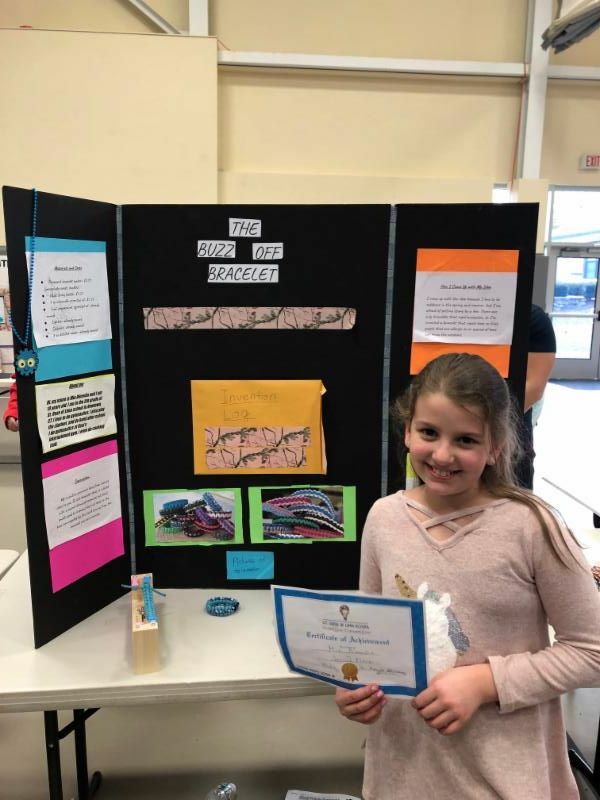 The students began in late January brainstorming ideas for inventions and innovations that would solve daily problems in school or home, address pet concerns, help the elderly, help the disabled, or make a difference in the environment. 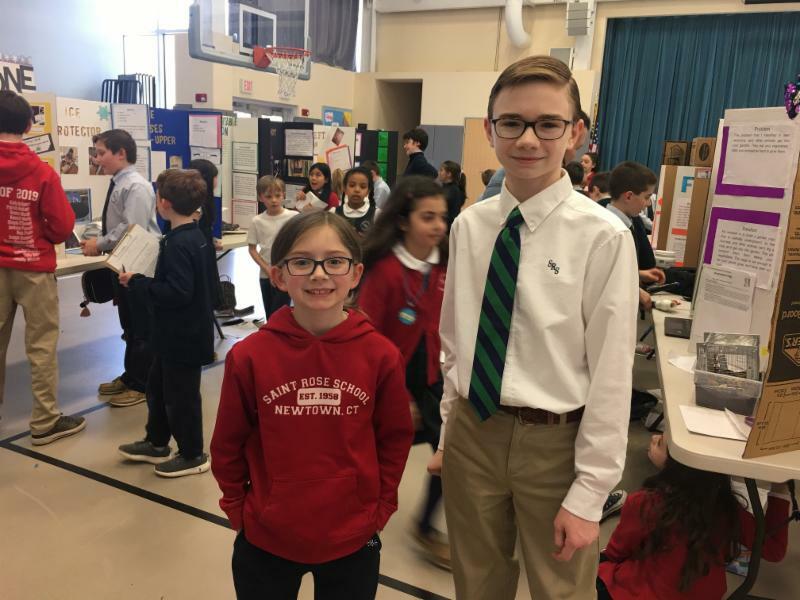 On Wednesday they presented their ideas to a panel of judges. The St. Rose School Community thanks Mr. 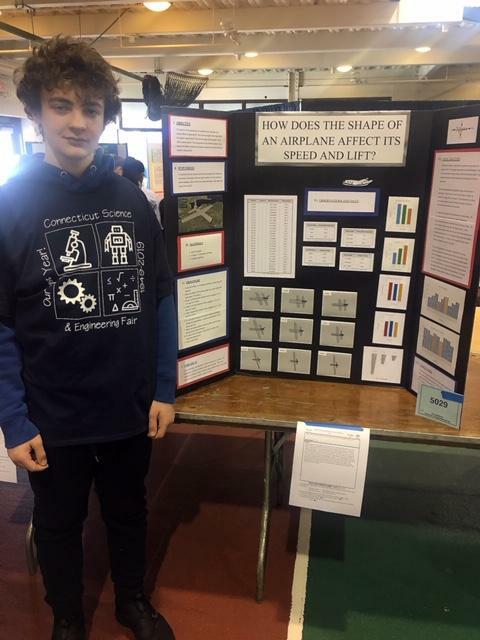 Rob Griffin, Mr. Christopher Kirkman, Mr. William Zmek, and Mrs. Valerie Petrillo for interviewing the inventors and rating their inventions. In some way everybody can be involved and it's for a great cause...our school! For more information go to www.strosegolfclassic.com or click here. 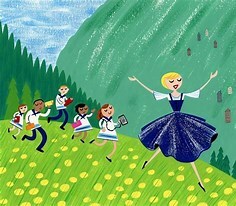 Attention Current Families ... Reserve your Child's spot for the 2019-2020 Click here to register. Plans for the St. Rose School Track program are underway. Thanks to all of those who have registered. Stay tuned for details from our organizers. In the meantime if you have any questions please email track@stroseschool.com . Stay tuned for details about tickets. We are in need of seamstresses to help with costumes . You don't need to be a professional, just be comfortable with needle and thread. If you or someone you know can help we would be SO grateful. 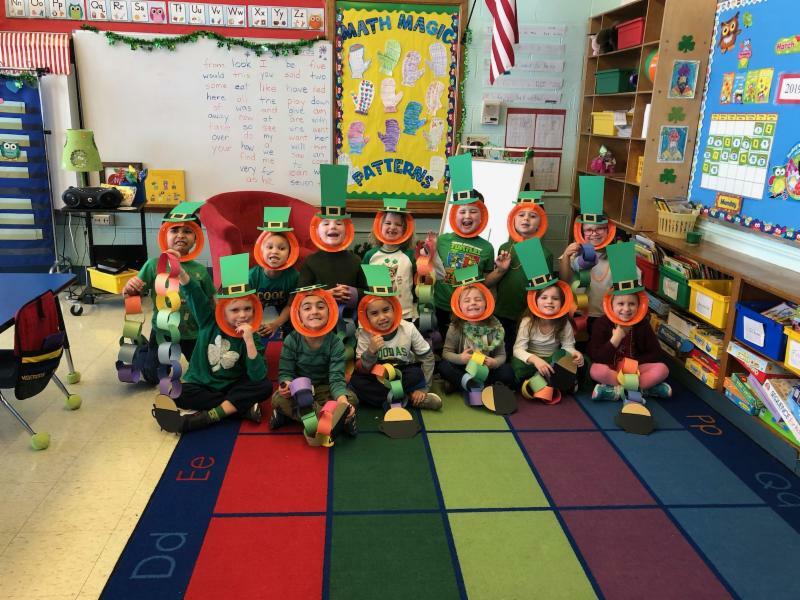 Please contact Mrs. Michelle O'Donnell, odonnell@srles.com. Thank you! March 28th -- Night at the Museum for Mothers and Sons. Click here for details. April 6th -- Masquerade Ball Father/Daughter dance. Click here for details. May 3rd -- Grandparents/Special Person's Day, details to come. May 22nd - - Golf Classic. Click here for details. Everyone needs to eat and by purchasing gift cards to local grocery stores to do your food shopping you can make a HUGE difference. Here’s the math . . .
That’s a $240 rebate per year for ONE FAMILY! With all 180 families participating . . .
$240 x 180 = $43,200!!!!! Can you IMAGINE what we could do with an extra $43,200 that is not costing anyone anything additionally? We are looking to make this number a reality. We have done this by creating a monthly grocery program that is so user friendly everyone would be happy to use it! First, complete the simple form (attached) with your bi-weekly or monthly order (which store and how much) and send in with your check. We will fulfill the order on the 1st and/or 15th of the month. We will email you on the 7th and 21st (bi-weekly) or 21st (monthly) of the month asking if you’d like your standing order and reminding you to please send in the check. This is not a ‘binding’ program- we realize some months fluctuate. You are not obligated to use the service every month though it is greatly encouraged and appreciated! Who is willing to take the plunge and be one of the first members of our Scrip Grocery Program? Please contact The SRS Scrip Team at scrip@srles.com with questions. We are here to help! Please click here for the Lenten calendar.